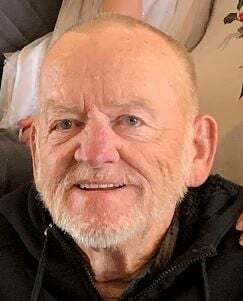 Ray “Whitey” Falconburg, Jr., 77 of Jerome, Idaho passed away at his home on February 11, 2019 after a long battle with COPD. He was born January 3, 1942 in Wiley, Colorado, the 8th of ten children, to Ray and Lena Falconburg. Ray is survived by his wife of 51 years, Gloria; two daughters, Shelley (Richard) Sturgeon and Misty (Mike) Peck, all of Jerome; one sister, Linda Lau of Boise; six grandchildren; one great granddaughter; and numerous nieces and nephews. A very special Thank You to Bethany and Sammie of Hospice Visions, he looked forward to your visits. A Celebration of Ray’s life will be held at 11:00 a.m. Thursday, February 14, 2019 at Farnsworth Mortuary, 1343 S Lincoln Ave, Jerome. Memories and condolences may be shared with the family on Ray’s memorial webpage at www.farnsworthmortuary.com.